Ideal Cul de sac location close to Chapin Park. Meticulously Maintained. Vaulted Living Room w/Tiled Gas Fireplace. Hardwood Entry & Kitchen Mst Bdrm Bath has both separate shower and tub. RV parking, shed, and Greenhouse. Kitchen with beautiful wood wrapped Pella sliding door overlooking large wood deck and professionally landscaped backyard with outstanding must see water feature. 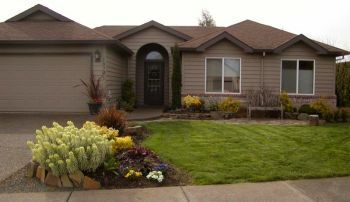 We ensure that buying a Oregon City, Oregon For Sale By Owner is easier than you think. You can find Oregon City, OR real estate for sale like single-family homes, apartments, townhouses, condos, land and many others here. If you are looking to buy or sell homes for sale Oregon City, OR, our website can supply you with the most updated Oregon City real estate listings information.